The public is invited to come tour our facility. Our event space is the perfect place to hold your wedding, corporate event or private gathering. 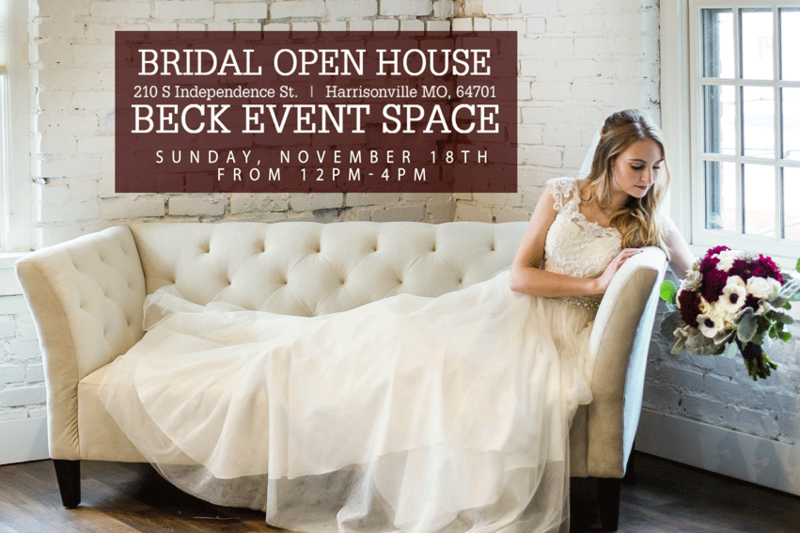 We will have 2 dozen wedding professionals displaying their work and giving you ideas to help you plan your wedding! We will have a special drawing for gift baskets for engaged couples that attend. This is a free event, but you are required to RSVP by marking the facebook event as “going”. Mark your calendar for Sunday afternoon November 18th, 2018!